Bob Champion on Saturday paid tribute to Sir John Hurt, the actor who played him in the film version of his extraordinary Grand National victory, following his death aged 77. Hurt was in his forties when he took the lead role in Champions, which told the true story of how Champion fought back from testicular cancer to triumph at Aintree on Aldaniti in 1981. Champion tweeted: "He will be greatly missed, a truly wonderful man." Bafta-winner Hurt, who was better known for his roles in Alien and The Elephant Man, had fought his own cancer battle having been treated for pancreatic cancer in 2015. He had continued working, recently starring in Jackie, the biopic of President John F Kennedy's wife, and had been given the all-clear from cancer before pulling out of a stage project last year on the advice of his doctors. Hurt lived in Ireland for a number of years and became involved in racehorse ownership, seeing the filly Heed My Warning carry his colours to victory in 1997. Trained by the late Con Collins, she won a maiden at Gowran Park before coming second, beaten only a head, in the Group 1 Moyglare Stud Stakes. The following year she was third in the Gladness and Matron Stakes, both then Group 3s, and finished ninth in the Irish 1,000 Guineas. 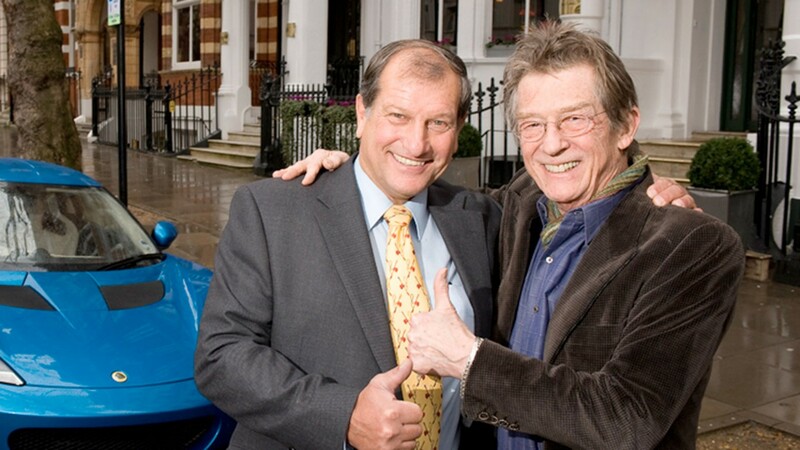 Collins' daughter Tracey said: "Sir John Hurt was an absolute gentleman and a great guy to train for. He came to the yard a couple of times. He was very enthusiastic. "Heed My Warning was a nice filly. John would have been introduced to us by Clody Norton, who bred the filly. I think he went racing two or three times. He showed quite an interest in her."